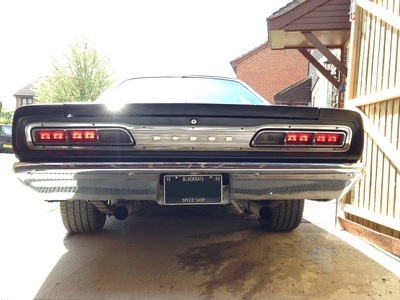 The owner of this 69 Superbee was not happy with the brightness of the original tail lights and tasked us with performing an LED upgrade. 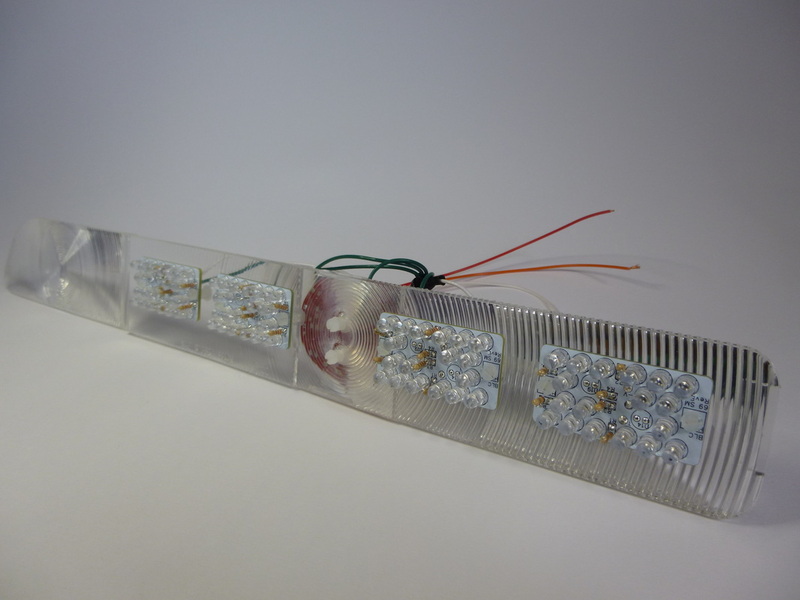 The budget wouldn't extend to a full bespoke set-up so we used eight of our existing 50x26mm LED panels to provide the light source and a separate panel (mounted behind the diffuser) to provide the voltage control. 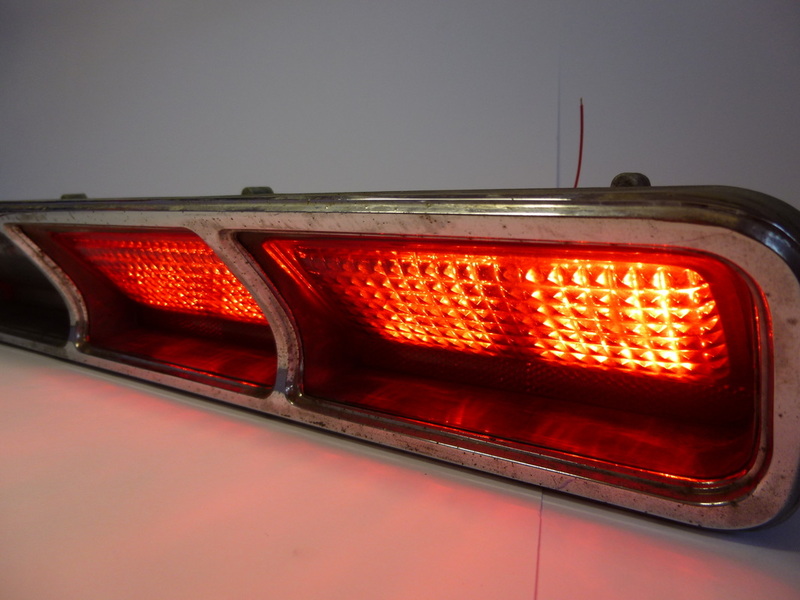 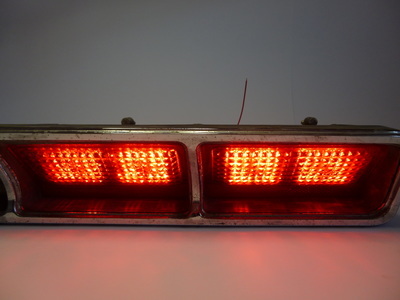 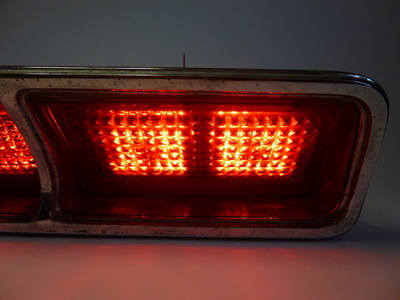 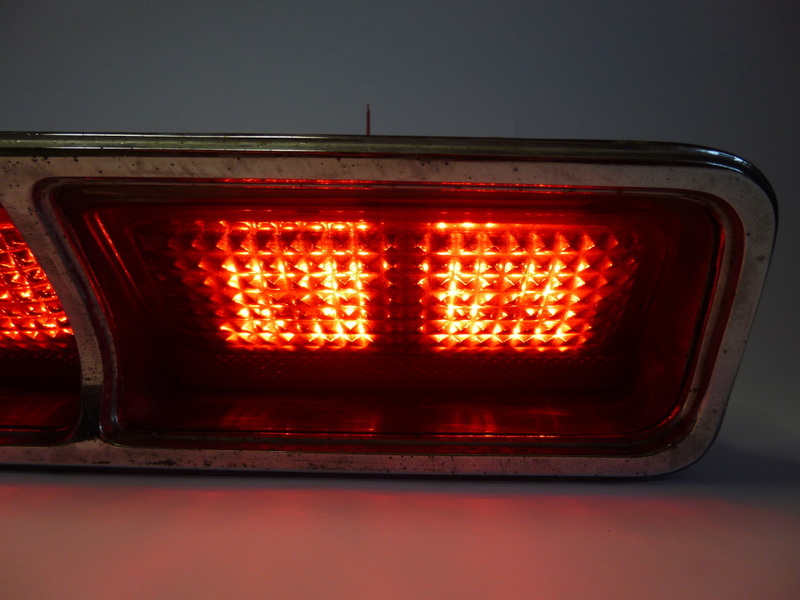 Four panels were fitted to the internal diffuser of each light unit and now provide enhanced tail and brake light functions.